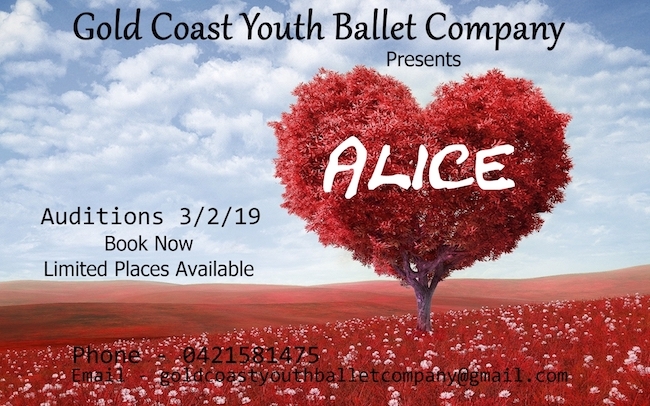 The new Gold Coast Youth Ballet Company has announced auditions for its very first production, Alice, based on Lewis Caroll’s novels Alice in Wonderland and Alice Through the Looking Glass. Founder/Executive Director Dianne Cassillis and Artistic Director/Choreographer Shane Weatherby invite children aged 7 and over (Grade 2 and above) to audition on February 3 at 1 p.m. at the Nerang Bicentennial Community Centre mainstage. The Nerang Bicentennial Community Centre is located at 833 Southport - Nerang Rd. Book an audition spot by emailing goldcoastyouthballetcompany@gmail.com or by calling 0421581475. Auditions could last three hours. Cassillis, the owner of Gwen Wilson's First Position School in Ashmore, previously danced professionally, including with Dance Theatre of Victoria. Her students have been accepted into The Australian Ballet School and The Queensland Ballet Academy, and have been involved in ballet productions including Nanny McPhee, Wizard of Oz, Carnival of the Animals and Rapunzel. She says it is an honour to have Weatherby’s “wealth of experience” for Gold Coast Youth Ballet Company’s debut production. He performed with The Queensland Ballet from 1987 to 2001 and enjoyed dancing many great roles over his 15 years, including Puck in Midsummer Night’s Dream, Othello in Othello, Frederick in Pirates-the Ballet, Orpheus in Orpheus and Mercutio in Romeo and Juliet. He left QB in 2001 to have surgery for stress fractures, and then joined Sydney Dance Company for its production of Tivoli. Later he studied and lectured at the Queensland University of Technology, attaining a Bachelor of Creative Industries, Dance (Distinction) and a Post Graduate Diploma of Education (Physical Education). He was also a fully qualified personal trainer and has written many modules for the fitness industry. Teaching ballet since 1988, he’s worked with countless students. 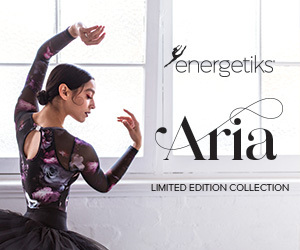 For more information on the new Gold Coast Youth Ballet Company, or to access the forms that dancers need to fill out to audition, visit www.firstpositionballet.com.